First clip from 2017's must-see documentary DO YOU DREAM IN COLOR? The enlightening and poignant coming of age story "Do You Dream in Color?" 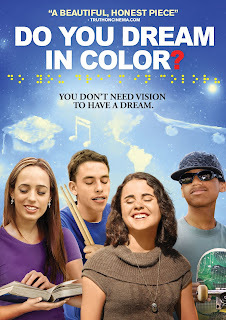 captures the inspired journeys of four courageous blind children, will be released on VOD Feb. 10, with select theater engagements in the first part of 2017, from Uncork’d Entertainment. Connor, Nick, Sarah and Carina are like most teenagers navigating the growing pains of high school, but unlike their peers these four teens face another challenge – they’re blind. "Do You Dream in Color?" is an enlightening and poignant coming of age story that captures the inspired journeys of four courageous teenagers as they strive to achieve their goals: to be a sponsored skateboarder, to travel the world, to become a rock star and to be the first family member to graduate high school. Their extraordinary stories shine a provocative light on both the social and institutional obstacles faced by people who are blind in the sighted world and what it takes to surmount these barriers. The film is directed by Abigail Fuller and Sarah Ivy. A winner with film festival audiences and critics, winning major awards at the Dallas International Film Festival, San Luis Obispo International Film Festival, and Big Sky Documentary FIlm Festival, "Do You Dream in Color?" Has been labelled “powerfully human” and “gives us reason to smile”*. "Do You Dream in Color?" 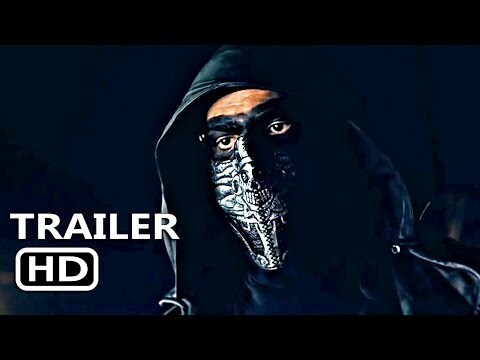 releases on VOD February 10 and in select theaters first quarter 2017.